The Ministry of Transport test (more usually known as an MOT) is a legal requirement for all vehicles over 3 years old, with the purpose of making sure that your car meets the minimum safety requirements. Without a valid MOT, your car insurance and road tax become invalidated and your car may not be road worthy. Therefore it's important that you make sure your MOT certificate is in date and you book your next MOT before your current certificate expires. It is important to get specialist advice before fitting a new clutch as many symptoms could indicate a problem with the clutch, whilst the real fault may be something completely different such as engine revving, a slipping fan belt or a fault that can be cured by a minor adjustment. At Newtown Garage our specialists will provide you with a free clutch check and/or help to arrange vehicle recovery if your car has broken down. 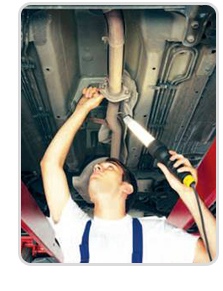 Regular maintenance of your vehicle is essential for safety and can help ensure trouble free motoring. 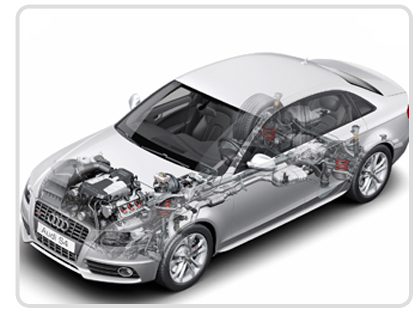 Maximise the lifespan and value of your car with regular car servicing. 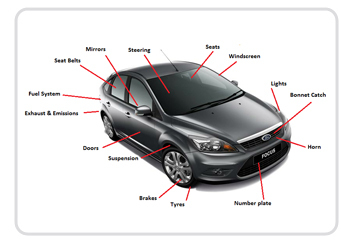 Our technicians are trained to service any make and model of car using the latest techniques and diagnostic equipment and are committed to providing a friendly, honest and personal service. Gearboxes are an integral part of your vehicle and the maintenance and up keep of the gearbox is an important part of your car's servicing needs. If you feel that your gearbox is not functioning properly please call us at Newtown Garage our skilled technicians will carry out an extensive check using the latest diagnostic equipment. This will help to clarify whether any gearbox faults are apparent and will determine the nature of the work that may need to be carried out. These are one of the most important items on a motor vehicle. It is a critical safety item and, to provide maximum stopping power, your brakes must be at optimum braking efficiency. Regular brake checks and maintenance are of great importance for the safety of your vehicle and help reduce the possibility of costly bills in the future. If you are ever in any doubt about the state of your brakes, please pop in for a no-obligation Free Brake Check. Cambelts, also known as a timing belt is an important feature of any engine that has one. Timing belts are an essential part of your vehicle and failure to replace your timing belt, when recommended by your vehicle manufacturer, can result in serious damage to your car's engine. At Newtown Garage we are keen to help you avoid huge repair bills caused by failure of your timing belt. If any doubt on when your timing belt should be replaced or you require replacing it please contact us at Newtown Garage and we will be happy to help. General car repairs can range from the servicing needs of your vehicle such as brake pads to infrequent repairs such as having an exhaust pipe fitted. With general car repairs it is important to know that in many cases, you should get them put right as soon as possible. Often, delaying repair work can cause further damage and in some extreme cases, not getting something fixed can be unsafe and illegal. Regardless of what repairs your require, at Newtown Garage we are here to help. We are highly experienced at checking and fitting exhausts, and it's no surprise, as the exhaust system is one of the most hard-working components on your vehicle. It is constantly in use whilst the engine is running. The exhaust system consists of catalytic convertors, down pipes and manifolds. It is essential your exhaust system is in working condition at all times - if in any doubt please pop in for a FREE EXHAUST INSPECTION. Tyres are a very important part of your vehicle, having a good set of tyres on your car is very important and a legal requirement. The minimum legal tread depth is 1.6mm, however we advise and recommend you changing your tyres at 2mm. As the tread depth reduces, the tyre's ability to remove water from the road surface reduces, increasing the risk of aquaplaning because the tyre is unable to transmit traction and braking forces to the road as effectively. Therefore the vehicle's stopping distance increases. Please pop in at Newtown garage for a FREE TYRE SAFETY CHECK. Batteries are a vital item that powers your car and gives you the go each day. We only fit the best in batteries. We provide batteries that always meet the high quality demand by international original equipment manufacturers and deliver the performance needed for cold starts and the increased electrical demands of the modern vehicle. Please pop in at Newtown Garage for a FREE BATTERY TEST.